Each name arises from antiquity, in and around the great and noble city of Dundee. For example, the Abbot of Lindores first created the school in 1239. And Wallace? That's named after William Wallace. Details are inevitably sketchy but he is believed to have attended the school as a pupil in the late 13th century. Yes, that William Wallace. Braveheart himself. Model pupil, apparently. OK, so he had a tendency to paint his face blue from time to time. And he developed the habit of yelling "Free-dom!" at the top of his voice when the bell rang to signal the end of the school day. But, generally, he was rated. Highly intelligent. Expert at Latin. Notably fine at field sports. By now, you are asking, quite reasonably, why I am rambling in this fashion, other than to pursue the simple pleasures of legend and nostalgia. Let me explain. As a proud Dundonian, of a certain vintage, I want to give you a slightly alternative background to the opening of the V&A in the city, first glances of which have been afforded today. Much coverage has, entirely understandably, spotlighted the V&A as a potential jewel in a somewhat struggling environment, with its post-industrial scars. There has been, again understandably, talk of jute. And, where necessary, of the rest of the trio; jam and journalism. To emphasise once again, I make absolutely no complaint about this. It is comprehensible, reasonable and fair, up to a point. The one thing I would note is that, to understand Dundee fully, you have to appreciate the remarkable longevity and depth of its history. The jute industry made a huge impact upon the city. It employed thousands and made a few people very wealthy indeed. The mansions of the few can still be seen in the West End and the Ferry. Monuments to the many are rather more scarce. But jute lasted for no more than a century or less, although the broader textile industry has a longer pedigree in the city. As a child, I remember the industry in decline, in final decay, as something which had passed or was passing. For all its temporary dominance in "Jute-opolis", the story of Dundee is much, much older. The city became a Royal Burgh in 1292. It played a prominent role in commerce, trading goods and ideas with the ports of continental Europe and, eventually, the nations of the Empire. It was fought over by invaders and defenders. It was sacked by the Cromwellian forces of General George Monck - and recovered. Dundee had a key role in the Jacobite risings. You can still find scraps of that ancient Dundee today. The medieval St Mary's parish church, of course, with its towering steeple. The Wishart Arch. The Howff. But much, too much, has been lost, destroyed by neglect and misplaced development, burdened by pseudo-modernism. Monck was an amateur compared to previous generations of city planners. That, together with the loss of industrial employment, placed something of a blight upon the customary good humour of my fellow Dundonians. And, following that lead, it became commonplace to lampoon the city. No more. 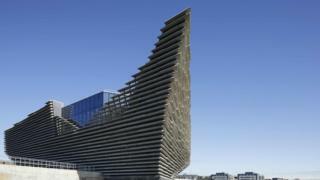 The opening of the V&A is a glorious symbol of Dundee's renaissance. It is a real chance, finally, to get the city centre right. To gaze out upon the Tay, rather than turning a disdainful shoulder towards the estuary. But the V&A, however welcome, is not operating alone. 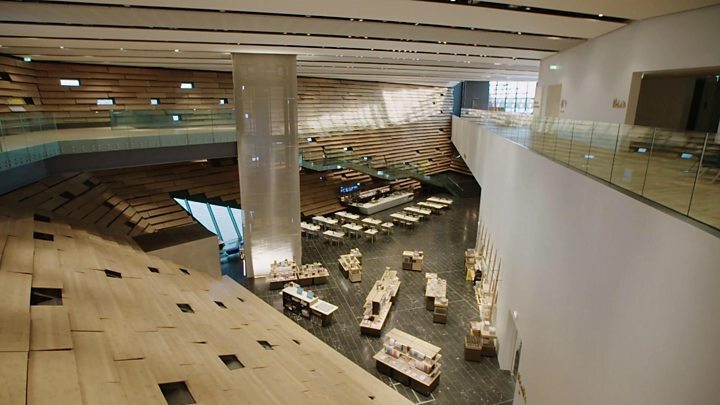 For years now, there has been a discernible revival of Dundee's ancient spirit and pride. Partly that is driven by intelligent enterprise, seeking to reverse Dundee's dreadful employment record. Partly it is driven by a quite remarkable arts sector: theatre, literature, visual creation. Partly it is driven by the city's two flourishing universities - biotech and computer games, plus much more. In that endeavour, the V&A will undoubtedly play a huge part. A modern symbol in an ancient city.